[2009 Sept] Two thousand schoolgirls suffer suspected ill-effects from cervical cancer vaccine Within four days of the third injection in March of this year, Stacey suffered an epileptic seizure, followed by 17 more in the following week. She has now been diagnosed with a brain injury, caused by inflammation of the brain, and is being treated in an NHS rehabilitation unit in Birmingham, which helps her with basic tasks like making a sandwich. Seizures are minimised by five types of medication, but her memory is badly damaged. The family has been given no explanation for how the damage occurred. Mrs Jones, 44, said: "She was such a lovely, happy go-lucky girl, now she is just a shell. "When we go to see her, she can't remember what she has just eaten for tea. The impact on her and all of us has been absolutely devastating. I feel she has been used as a guinea pig." [2009 June] In Memory of Marina McQuaig Marina passed away at the age of eight on November 26, 2008. Marina suffered from a severe seizure disorder precipitated by vaccination and re-vaccination.... "I was given a flu shot with thimerosal [a mercury-containing preservative] when I was eleven weeks pregnant with Marina.....I avoided using asthma medication because I didn't want to harm my developing baby, but then I had to use it because the flu shot gave me oculo-respiratory syndrome and I couldn't breathe.....Marina was born with cutis applaisia [improper skin development] on her hands and feet, which to me is an obvious result of the vaccine because the last layer of skin forms at around the eleventh week of pregnancy. 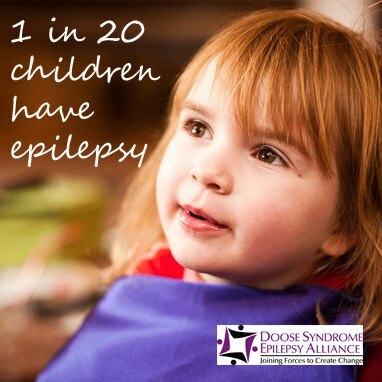 At two months she was diagnosed with epilepsy but she usually would never have more than one or two seizures a day. Because health authorities do not withhold vaccination for something they consider such a minor health problem [ie an evolving neurological condition], Marina was injected with all the usual infant vaccines on schedule at 2, 4, 6 and 12 months. Looking back, she did have reactions to most of the vaccines but we never linked it the way we should have. At 18 months, Marina was due for the seven vaccines given then: diphtheria, pertussis, tetanus, polio, Haemophilus Infiuenzae B, chickenpox and meningococcus. She had been free of seizures for a year except for one possible seizure we didn't see but suspected two weeks be­fore the 18 month vaccines. We told our paediatrician and the health nurse about this but the nurse told me they changed the vaccine and it no longer affected seizures. At the time of the vaccines Marina had a cold. I kept asking the nurse if it was all right to go ahead. She said yes - just give Marina Tylenol for the next twenty four hours." 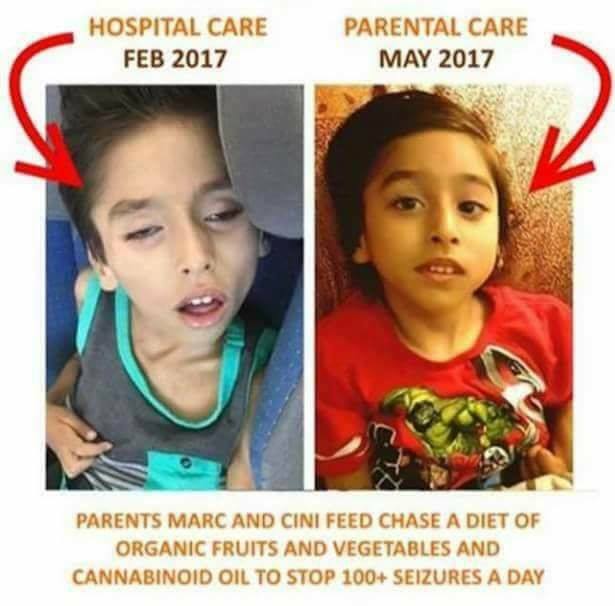 The result was: a two week stay at Children's Hospital with one week in the ICU; unremitting seizures followed by seizures almost daily, up to more than fifteen per day; Marina came close to death 60 hrs after the seven doses. Unbelievably, public health carried on as if nothing had happened." .......because public health denies any connection, what's happened to Marina will not go to 'statistics' to help prevent the same thing happening again. I hope one day. if enough parents continue to tell their stories, our children will be protected." 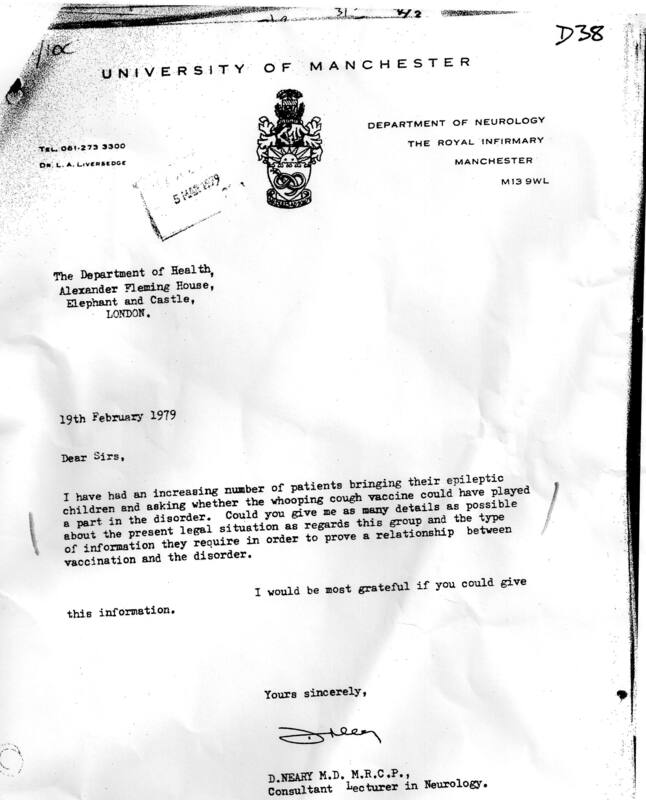 [Media April 6, 2004] DID MMR GIVE MY SON EPILEPSY? [Media MMR 97] Why play Russian roulette with your child's life?